Positioning toys is a great way to help your baby improve muscular strength, balance and coordination. At around two months old, they will start being able to follow objects; holding a toy in front of their site-line and slowly moving it side to side will strengthen neck muscles. Visually stimulating toys with high contrasting patterns (e.g. black and white stripes) are particularly interesting for them to look at, while “noisy” toys (e.g. rattles) can get their attention. It’s not until three to four months that your baby will intentionally reach for a toy, and encouraging this is brilliant for strengthening arm and hand muscles as well as improving depth perception. 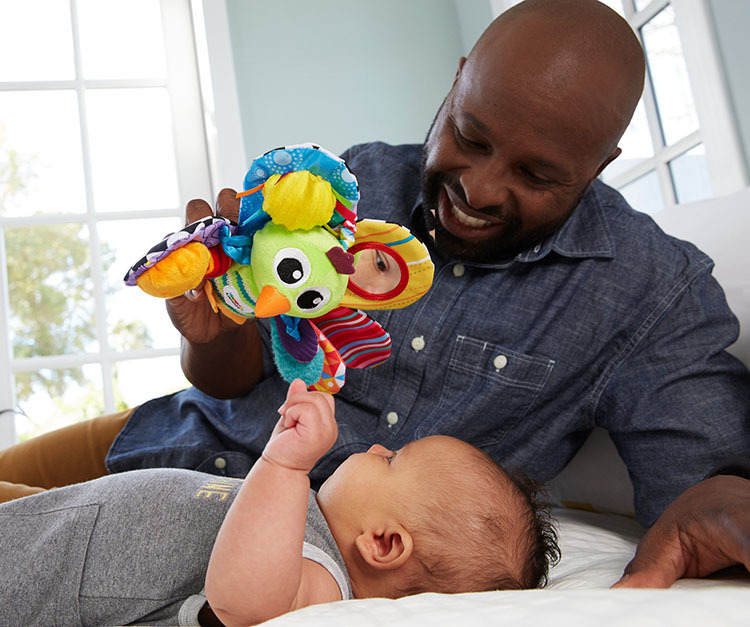 Babies will use their whole hand to grasp objects, so try holding an easy-to-grab soft toy near your baby (within their site-line) and see if they reach for it. When they repeatedly succeed, move the toy to a different angle or farther away to make it more challenging. 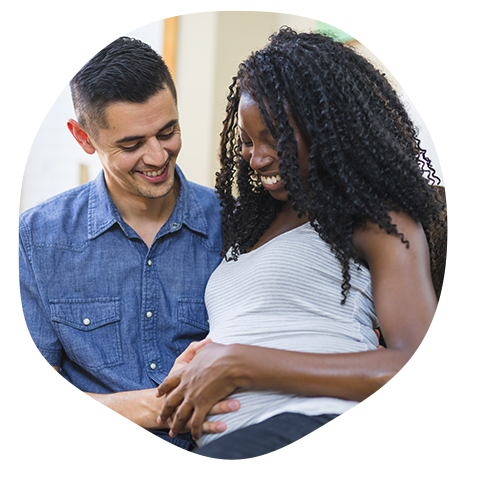 Tummy time has lots of benefits for your baby’s development. It strengthens the back and shoulders and, as your little one gets stronger, they will start pushing themselves up; this exercise is the first step towards crawling and helps develop arm muscles. It’s not uncommon for babies to dislike tummy time, but interesting toys placed nearby can give them something on which to focus. These need to be small enough to hold with one hand so that your baby can use the other for support (and the action is less demanding on their core stability). Reaching for these toys strengthens the neck, arm and hand muscles while also developing hand-eye coordination. Infant play mats with colorful patterns and things to grab, touch and squeak will be fascinating for them too. Play gyms can be good as well if toys are positioned so that your baby can see them. Toys hanging from the arches can sometimes be too high up for babies to successfully grab them, but they can look at and reach for these toys. You can move the dangling toys to encourage your baby to look at them, strengthening neck muscles. At around four to seven months, babies can sit up independently, which means they can use both hands for holding and exploring objects. Now you can introduce larger toys to encourage the use of both hands in order to strengthen the muscles equally. Toys of varying shapes will not only give your baby more play options, but also strengthen their cognitive abilities; for example, a ball will be handled in a different way than a building block. They may also start to crawl or bum-shuffle, opening up a wider world to explore; try putting toys a little farther away to get them moving around the room more. Babies love to play, and the more mobile they get, the more opportunities this gives them to investigate the interesting things around them. Toys are a great way to get your little one’s attention and encourage movement and physical development at each stage.